Today we're going to yet another Chinese take-out restaurant! China Star gets confusing because of the prevalence of the name in the immediate area. 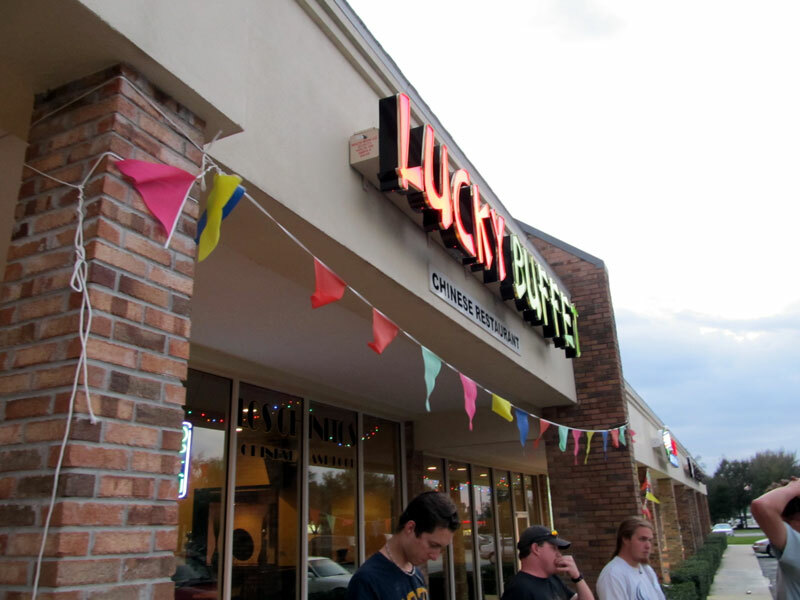 This China Star is in Lake Mary, right on the Sanford border. 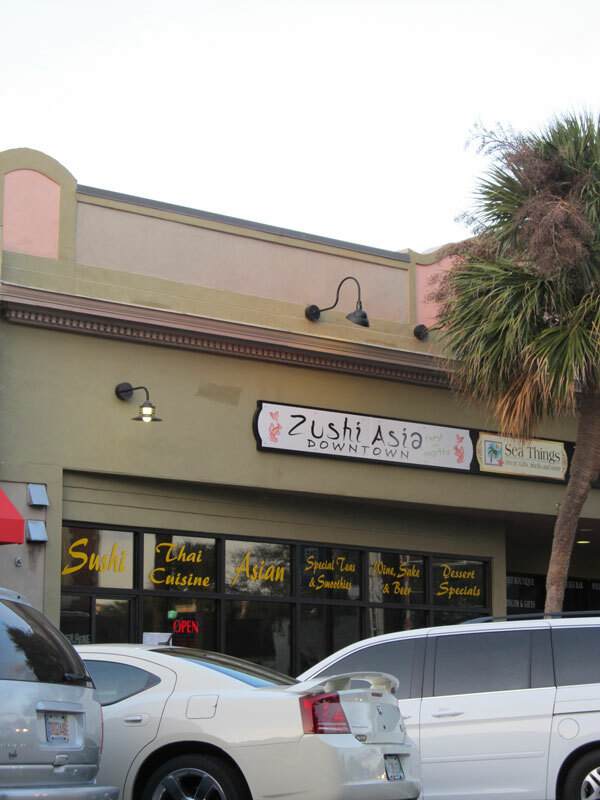 Go less than five miles away into Sanford and you have another take-out called China Star and a very scary buffet called China Star. I don't get the feeling that any of the China Stars are connected. I've picked up food from this China Star on several occasions and they messed up the order for the majority of these visits. 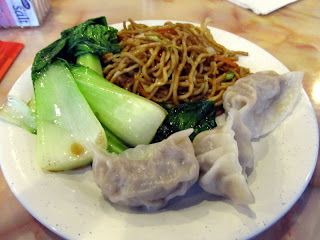 After a certain point I stopped getting food there, but I recently gave China Star another try. When I got the food home, it turned out they got the order correct! The Curry Chicken was nice and spicy, mixed with onions, peppers, snow peas, and mushrooms. 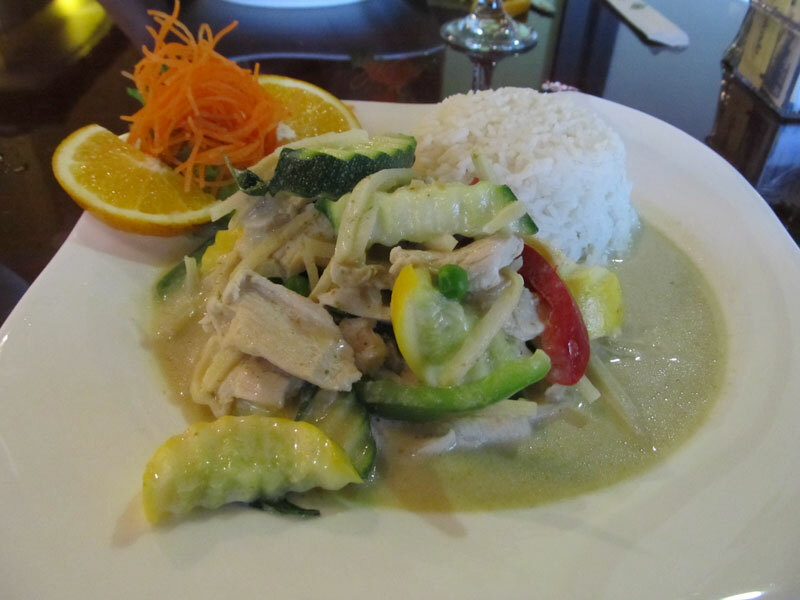 The portion was huge and turned into three meals by the time the chicken was gone. I guess we spent enough so they threw in a bag of these Chinese doughnuts. Can't complain about free extras! China Star got the order right on this visit, the food all tasted good, and the portions were huge for the price. I think I'll add them back to my list of options for Chinese take-out! Okeechobee. Located between Florida's biggest lake and miles of sugar farms to the south and endless cattle farms to the north, it's a pretty isolated town. The drive along 441 through this nothingness is a great ride, but there really isn't too much in terms of food along the way. That is, except for in Okeechobee. 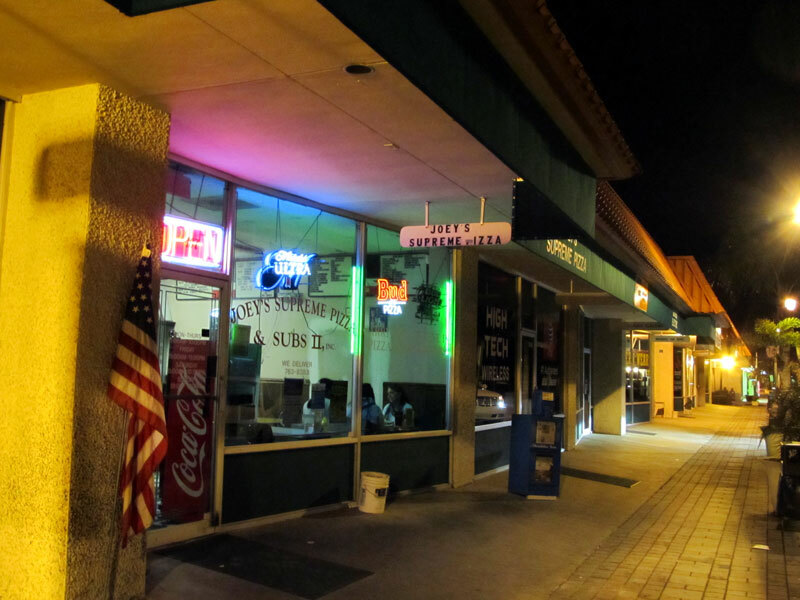 The last time I took the scenic route down south, I stopped for dinner in Downtown Okeechobee at a place called Joey's Supreme Pizza. 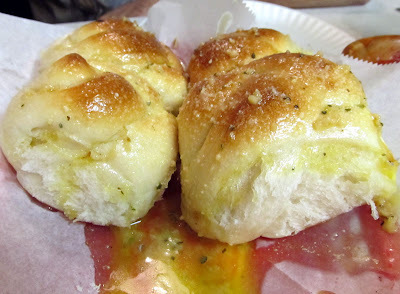 We started out with garlic knots at Joey's Supreme Pizza. These knots were way bigger than what most Italian restaurants serve when it comes to garlic knots. I unfortunately filled up on these so I didn't have much room left for the pizza! They tasted alright, although I thought they could have used less oil and more garlic. I find Florida has far too much mediocre pizza, so I honestly wasn't expecting much for pizza in Okeechobee. When the pizza was delivered to the table, I was plesantly surprised. This pizza was a thin crusted NY style pie. It was cooked to perfection and had just the right amount of sauce and cheese. The sauce was a little too thick and pasty in spots for my liking, but otherwise I have no complaints. 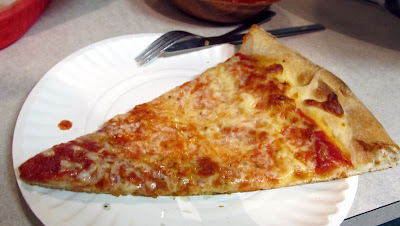 I love it when I find a totally unexpected good pizzeria! While House of Blues isn't my favorite restaurant in Downtown Disney, I personally think it's one of the better ones. I seem to like most anywhere that serves Cajun food, and this is no exception. I would definitely visit again! I decided to get breakfast at one of Boca Raton's bagel places and ended up at BagelWorks. 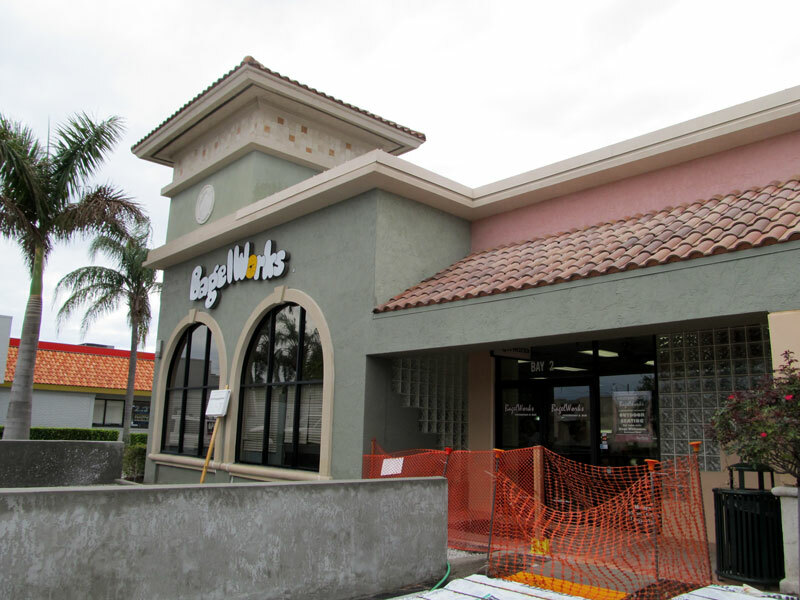 BagelWorks was very popular with Boca's senior citizens. They had a line for tables that queued up along BagelWorks' deli cases. 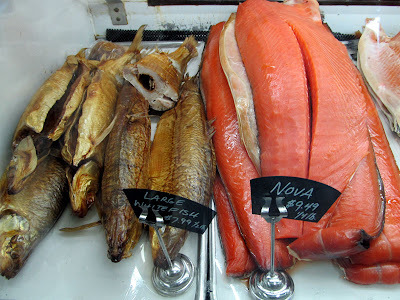 It was kind of like waiting for a ride at Disney while watching a preshow of cream cheese and Kosher smoked fishes and listening to people complain about the wait. It was eventually our turn to be first in line and were seated. 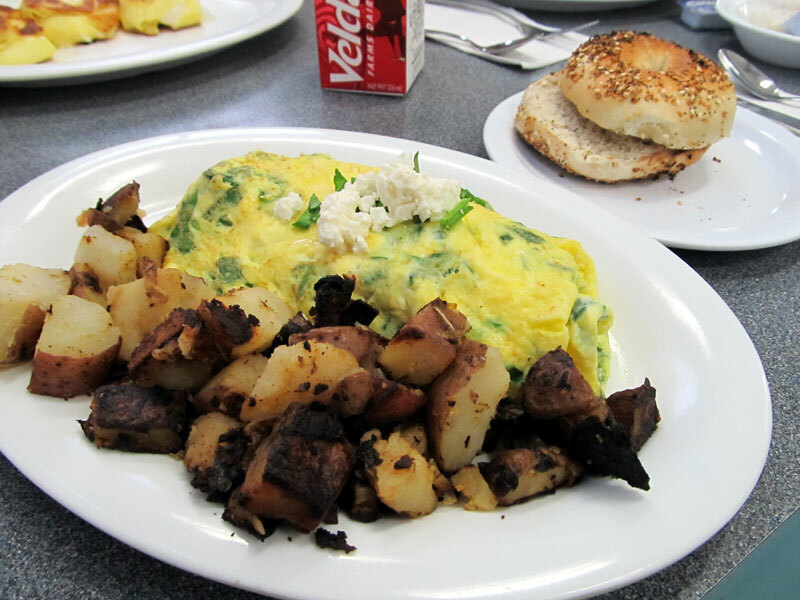 I decided to get a spinach & feta omelet, served with homefries and an everything bagel. The omelet was okay, although the cheese could have been distributed throughout the omelet better. There was lots in the center, but none at the two ends of the omelet. Homefries were good, but the bagel was horrible. At a restaurant called BagelWorks, I was expecting good bagels. Unfortunately, every bagel served to our table had an extremely hard outer crust. So hard that I couldn't bite into the bagel. I couldn't break through the crust with the utensils at the table either. Whatever caused the bagels to have this outer crust was definitely not good. I don't think I'd go back to BagelWorks because of their rock hard bagels. With the majority of the customers in BagelWorks above the age of 65, I wonder how well these bagels fare with dentures? It's funny how a few months ago, few people would consider visiting Orlando's food trucks. They've been there for years off most people's radar, hidden away along the less traveled parts of certain roads such as OBT and Colonial. That is until a Korean BBQ Taco Truck shows up. Suddenly, food trucks are the cool new thing in town and several more new (gourmet) food trucks pop up soon after. I stopped for dinner at Cowboys Bar B-Q & Steak Co. in Ft. Pierce based on a recommendation while driving down south. I'm not all too familiar with the area, but I'm pretty sure I ate a meal at a R.J. Gators that used to be in this building a few years ago. 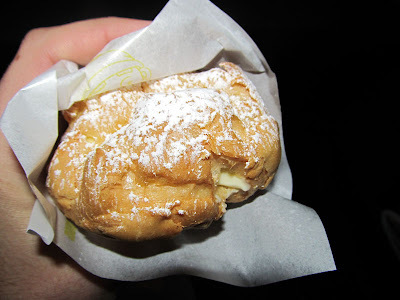 Another time, I had this sfogliatelle. How can you go wrong with flaky dough filled with cheese and covered with powdered sugar? I'm hoping that one day Doris' Italian Market will expand from South Florida into the Orlando area. I'll definitely visit if they do! Lucky Buffet was on the small side as far as Orlando Chinese buffets go, but was equivalent to others in the immediate area. They had two tables of hot food and one dessert table. In terms of what's expected from Chinese buffets, I thought the food here was a little above average. I didn't taste any food that was so explicitly bad that I left it on the plate. They were constantly refilling the foods so the turnover was pretty good too. Lucky Buffet had some unusual items not often seen on Chinese buffets, such as the baby bok choy, salt & pepper squid, and the awesome desserts filled with red bean paste. 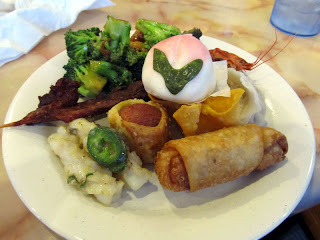 Overall, not the best Chinese food around but better than other buffets in the UCF area. A few months ago, I went to the new dinner show called Treasure Tavern connected to Pirate's Dinner Adventure in Orlando. A mixed green salad topped with blue cheese and kalamata olives was served first. The main course consisted of prime rib, mashed potatoes, and asparagus. I'm not really a big beef eater, so this is probably one of the few times you will see prime rib on this blog. Since I don't normally eat prime rib, I'm not going pass any sort of judgment on the main course. For dessert, they served something called an Opera Cake. The slice had alternating layers of chocolate, sponge, and coffee cake, topped with a piece of hard candy. The dinner show wasn't exactly what I was expecting. Being connected to Pirate's Dinner Adventure, I thought it would be somewhat pirate themed. Instead, it was more of a variety show with comedians, contortionists, magicians, jugglers, and had very little to do with pirates. All of the different acts kept the pace of the show moving, unlike some of the other dinner shows in Orlando that tend to drag on and on with their horrible shows. Entertaining enough and as far as dinner shows go, the food and show both could have been way worse!